Bold, spicy, hot – these are a few of the words that come to mind when you mention the food manufacturer behind the famous Sriracha hot sauce. Since 1980, Huy Fong Foods’ awesome sauces have earned their rightful place alongside other kitchen condiments, igniting the tastes buds of consumers across the globe. With plans for growth, Huy Fong Foods needed a system that would be in place for the long-term to manage everything from quality management of their food products to support the growth of their operations. Decades later, the food and beverage industry has changed. Following high profile cases of foodborne illness, food and beverage companies are under increased scrutiny to ensure product quality and safety. Today, produce Traceability Initiative (PTI) make it incumbent of these businesses to ensure that their systems are compliant with the new food safety regulations. Add to this the challenge of scaling operations as the company moved into a 170,000 sq ft. building to increase production. For Huy Fong Foods the challenge was that their existing business management system was starting to show signs of ageing. It was disparate, meaning it was made up of several applications that couldn’t talk to each other, requiring manual data entry. They needed a fresh solution to provide Huy Fong Foods with the business processes needed to manage continued growth. Huy Fong Foods, manufacturer of the world-famous sriracha chilli sauce, needed a solution that can better manage their business data from one location. With plans for continued growth, Huy Fong Foods needed a system that would be in place for the long-term to manage everything from quality management processes to scale operations. That’s when they partnered with Vision33, largest global partner for SAP Business One. 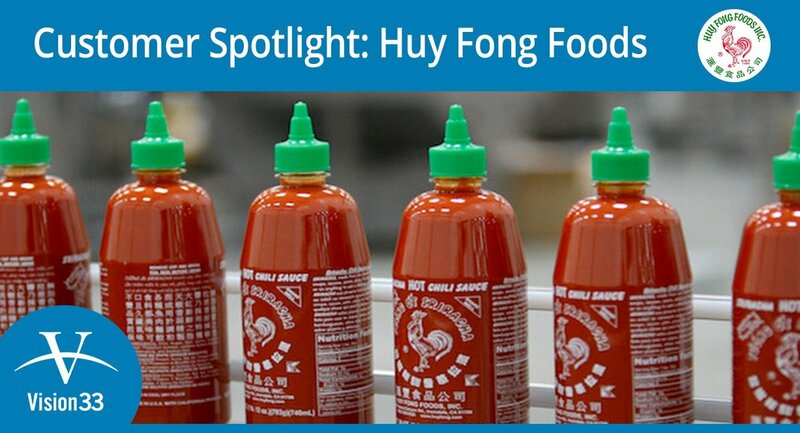 Watch our customer spotlight on Huy Fong Foods to find out what Donna Lam, Executive Operations Officer has to say about SAP Business One and how they’re using the transformative technology to overcome their challenges, manage their daily business processes, and position their company for growth and success.